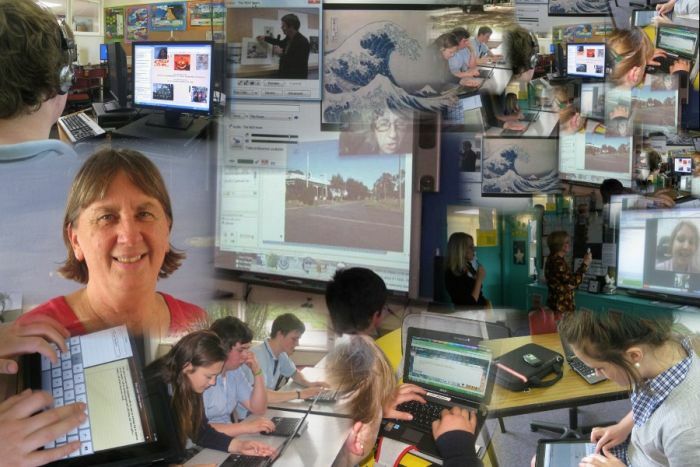 Hi, I am Anne Mirtschin a commerce and information technology teacher and ICT Co-ordinator at Hawkesdale P12 College, in country western Victoria, Australia. 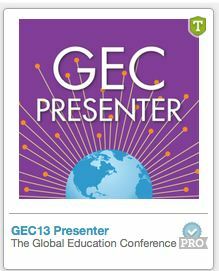 I am co-founder of the Australia eSeries, moderator of Tech Talk Tuesday, an Australian representative on the Global Education Conference leadership team and proud to be a Global Educator. I am proud to have received many awards for the innovative work that has been done in this field through the use of technology and have been asked to present at many conferences – locally, nationally and internationally. 2007-10 Information Technology to years 2-12, accounting years 11 and 12. Advisory Board Member for the flatclassroom projects. 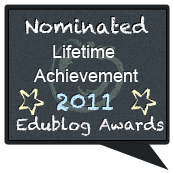 Australian Excellence in Teaching Award, 2009. Finalist in the Victorian Education and Early Childhood Development (DEECD) “most innovative curriculum awards” 2009 and “Outstanding Secondary Teacher Award 2010”. My family – four adult children (one in London, one in Sth Africa), two grandchildren. Learning and Teaching with my students both face to face and virtual. Storytelling with Shawn Callaghan in elluminate using my twitter story as a foundation. Great to see more Aussie teachers dipping their toes into the Web 2.0 waters – we need more switched on educators like yourself prepared to take some risks and work out the potential benefis to our students. You work is inspirational. Heather Blakey has been singing your praises (and work of your students) for ages, but I have not responded until now. I think your work at Hawkesdale P-12 College would make a good fetaure for our Education Times and ePotential. Kind Regards, Janice Youl, eLearning Unit, DEECD, Victoria, Australia. What an amazing site. Its really early here in NZ at the moment… 7:26am and Im suppossed to be running a Rugby tournament, but I’ll come back with my students (Y8) 13 Im not sure exactly if thats the same as Australia and check this site out in detail… looks fantastic! Wow, what you have achieved in what I see as a short time is just mind blowing Anne. I need inspiration as at present I am feeling overwhelmed with all this web2.0 newness, baby steps it is. I’ll be back. It’s entirely free and we have quite a few international users (20,000+) but many of our school users are in the UK where it’s now the summer holidays, so things have slowed down a bit on the site. We are currently working on some new games and a rewards/incentive system, most of which should be deployed by Sept.
It’s nice to see so many great Australian education blogs, although I can’t see any from Wangaratta (VIC) where I went to school. My wife and I used to own a farm at Johanna which is only about 100 miles from Hawkesdale, although this seems a long way from London where we now live. Hi Anne! Thanks for the comment on our Blog! We are so excited to get started! I used Picture Trail to make the picture Flick for the campout pictures, thanks to Mrs. Knee! Enjoy spring! We are bracing ourselves for the upcoming winter and enjoying the crisp fall weather! It’s great to ‘run into’ a teacher technology person from the other side of the world! Keep up the great blog. I’ll be tuning in more. Thanks for the inspiration and practical examples. So many of us are following in your footsteps or trying to. Some day would you comment on what timeframe is involved in your activities – number of periods per week, blocks of time etc? Flexible timetabling? What does the ideal arrangement look like? Thank you Carole for your lovely comment. I will certainly put my timeframe up sometime as that could be of interest to others. 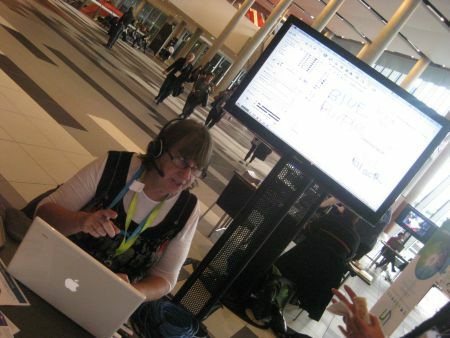 I have been blogging for 15 months and experimenting with web2.0 for about the same time. It has taken about 12 months to work out where we could go with it all and teach the students the necessary skills. However, now that some have started and have advice, it would not take as long for others following. It is great when others are forging ahead as you can adopt the best of their ideas and use some of your own. I will write a post on this but until I do, I have grade 2 for one lesson a week (50mins) all others for 2 lessons per week, except year 9/10 combo for 3 lessons. This year has been such a chaotic one as I also had teacher professional leave together with Jess McCulloch to lay the eplanks for a web2.0 school. However, the journey wont end and just keeps on getting more exciting. I think that between all the links from your sites and those of Sue Waters will be enough to keep me busy for the school holidays coming up. Now I have a WordPress. Looking forward to your response. hello! I’m a teacher in the Uk and seem to share a lot of the same principles as your good self when it comes to using web 2.0 – it’s also really made me realise I ought to sort myself out and upload some of my students podcasts onto my blog. Thanks for the insight – I shall be back to read more. 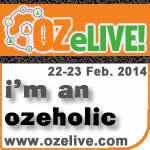 Would love to make contact with you in relation to Web 2.0. We have 3 staff on professional leave this year. We are researching the use of Web 2.0 in teaching and learning. You seem like a wonderful resource. 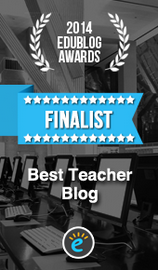 Some great example of how blogs are and can be so beneficial to education amongst some other great examples of ICT usage. Hello Anne, thank you for such practical examples of community formation and social multitasking. I am looking for opportunities to Skype a Year 7 Information Literacy lesson. Would you like to conference? 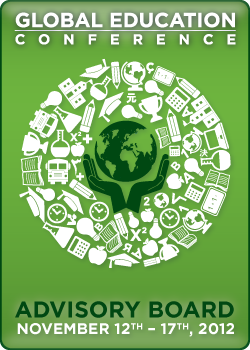 Pingback: Innovative Teaching | What does it take to be an effective teacher? was wondering if you know anything about flip cameras – esp about whether they can be used with PCs and what else you need to support them? Congratulatio0ns on what you are doing! Anne, I have been getting lots of notices that new posts have been placed on your blog – pornographic ones. Not sure if you c an do anything about it – if it is a problem at my end or your end – but I thought you’d like to know. Hi there, my name is Alexis and I am a writer for onlinedegrees.org. 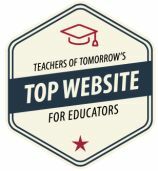 I am currently writing a list of the top 100 technology blogs for teachers and I am including you on my list. I was wondering if you could answer a few questions for me so I could include more information about yourself under your blog. Please respond via e-mail with your answers, thanks ahead of time for your help! Hi Evaggelia, I do hope that somewhere in your curriculum, students can be given the time to blog or learn how to, so that they can choose to use this medium at home if they wish especially for their school work. We have a number of students who choose to blog from home, so that is always encouraging to see. Our parents are also very nervous about the use of the internet, especially with all the problems that the use of facebook etc can create. However, we have had information evenings, weekly newsletter items etc keeping parents fully informed and encouraging parents to read their student’s blogs and leave comments. It takes a long time to embed it and little steps is the best method. I loved working with your group and hope that I can work with you again. Thanks for your comment. I am a teacher that has left teaching in the state system to pursue my passion in international education.I would really like to chat with you if you have the time. I am Adelaide based 0400880394. Great blog! Thanks for putting it together. I wanted to let you know about a free site I built for students that you may be t interested in. It’s called Enterthegroup.com and it provides students with tools to manage their group projects online. 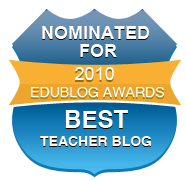 Just checking out your about page as part of the Edublogging Teacher Challenge ! I really like how it includes a run down of the work you have done and how you have incorporated photos into you work – something I think I might add you mine. 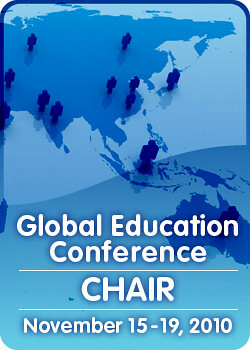 I’m co-editor in the “Didactic Strategies and Technologies for Education Incorporating Advancements” collection, which will be published by IGI Global (www.igi-global.com), February 2012. I would be glad if you produce a content to be submitted to the reviewers. I kindly ask you to circulate the Call for contributions. Please let me know if you have any questions about the paper submission. Pingback: Teach Less Learn More » Blog Archive » What an amazing time!!!!! I have found a couple of new tools, however. One of them being…CoverItLive. I was intrigued by the link to an educator that it utilizing the tool successfully…and when I clicked on the link where did I end up? At your blog!! I should have known! The link on ‘how’ you use CoverItLive is broken, though. Would you be willing to contact me and give me some examples? I have some ideas of how I want to use the tool, but it would be awesome to share with an expert! Kudos to you! All my Best! 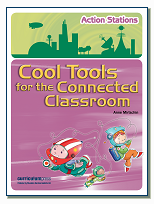 I like the way your district is going, offering online PD to teachers to learn more about technology. I used coveritlive a lot, about 4 years ago and use it quite a bit. I really liked it. It was like a backchannel in real time where we could combine global classes and kids could learn about each other by asking questions. We could share images, audio podcasts etc. We linked up with a class in the USA several times, this way. I also used it for surveys – and could make sure every student answered my question. I set up the live blog, embedded the code into my blog or wiki so I have a permanent record of responses, shared the link to the live coverit blog, asked them the question, they responded. When they had all responded, I asked the next question. The students loved using it, they liked reading what the others said and were fully engaged. However, the bandwidth at our school is really sluggish so it would often ‘hang’ and slow the proceedings. The most amazing live blog was when I was involved with a group who were watching the start of the Vendee Globe race in France. Rich Wilson was the US skipper and my online friend Lorraine Leo – a teacher from Boston created a coverit live blog. We had a teacher in France who was blogging about what he could see, whilst Lorraine and I asked questions of him. Another teacher from Taiwan joined us. The teacher in France sent us photos immediately, interpreted the French dialogue on the French TV etc and it was as though we were there! 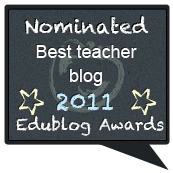 Here is the link to my blog post on it https://murcha.wordpress.com/2008/11/16/live-blogging-in-education/ It has advice etc on it. What I liked is the teacher registers and the kids just need a link to join in, no need for them to register and participate. I must get back and use it again as it is a valuable tool. 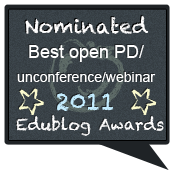 Pingback: WEEK 3: Communication tools | Web 2 from here? Hi Anne, thanks for replying to my culture shock survey. It’s interesting what things bring us down. Food and regular (in our countries at least) rituals and holidays seem to be the things we really miss abroad. I’d love to read your responses to any of the questions. I’m happy to share the information I get, and your comment about hoping to incorporate the answers into a curriculum has made me wonder about how children, exchange students or those who move with their families, experience culture shock. Your blog is really interesting, I’ll have to tell my mum (also a secondary teacher) about it. I’m glad that I found you-I think through Sue Waters, but can’t be certain as that’s what happens with you do lots of hyper-linking.I look forward to reading your tweets and learning more about the work that you are doing with students in rural areas. You have quite an impression list of accomplishments and many, many interesting activities to consider in working with students! Hey there. This is Brad from Participate Learning and VIF. What’s your email address? 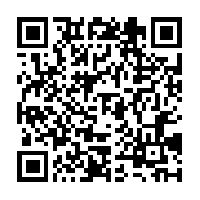 I’ll send you a few links that illustrate what we do. See you tonight! Just following up as I didn’t hear back from you, sorry to email you again. I noticed your page murcha.wordpress.com/category/tech-talk-tuesday/ links to http://www.timeanddate.com from timeanddate. Unfortunately, that site isn’t very accessible for the sight impaired. Would you consider adding a link to a more accessible version like http://www.thetimenow.com which is WCAG 2.0 compatible? Hi Anne, I hope you are well. Just trying to track you down to ask if you would like to present to Masters Students at university of Melbourne? Please get in touch. Hi Amanda, I am sorry I have only just noticed this comment. Will try and get in touch with you.